Dezignext Technologies provides more than 100+ Audio, BIM, CAD, Design, Graphics, Video, IT, Security and Professional Business Software training courses throughout St. Louis, MO. Whether you're looking for customized onsite SolidWorks Fundamentals training for a private group throughout the St. Louis, MO area or an instructor-led online SolidWorks Fundamentals class, Dezignext Technologies Learning has the solution for you. 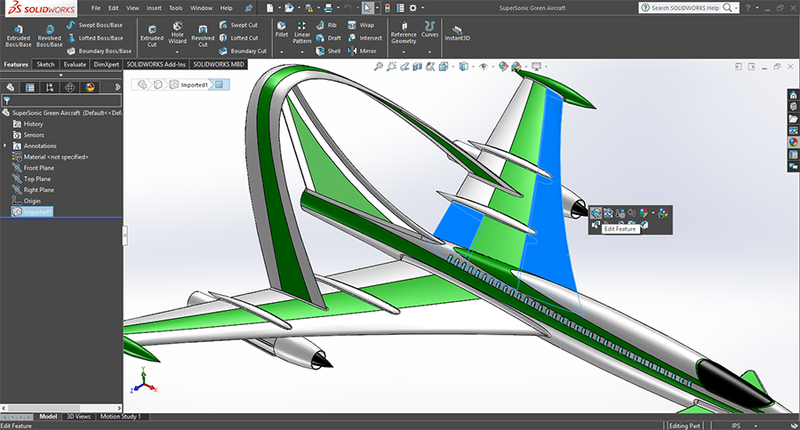 SOLIDWORKS is the world leader in 3D software for product development and design. The SolidWorks Fundamentals course teaches you how to start creating manufacturing-ready parts and assemblies, as well as detailed drawings and bills of materials. In this course, we show how to create 2D sketches that will become the basis for your 3D models. You'll use the Extrude and Revolve tools to turn 2D sketches into 3D parts, then create more complex geometry with sweep and lofts. Then learn how to use the cut features to remove material and shape parts, and use mirroring, patterning, and scaling to modify parts. Next, you'll combine parts into movable assemblies and subassemblies. Finally, you'll create accurately annotated drawings, complete with itemized bills of materials that relate the final parts and assemblies to a manufacturer. Dezignext Technologies offers organizations in or around St. Louis, MO hands-on-intensive SolidWorks Fundamentals training and certification courses to empower you with the most recent tools and techniques for accelerating your career. Our certified trainers have years of experience in delivering comprehensive SolidWorks Training to help you achieve high-end skills.